Description: A truly global design. This complex configuration features Oil Rubbed Bronze frame and hardware. 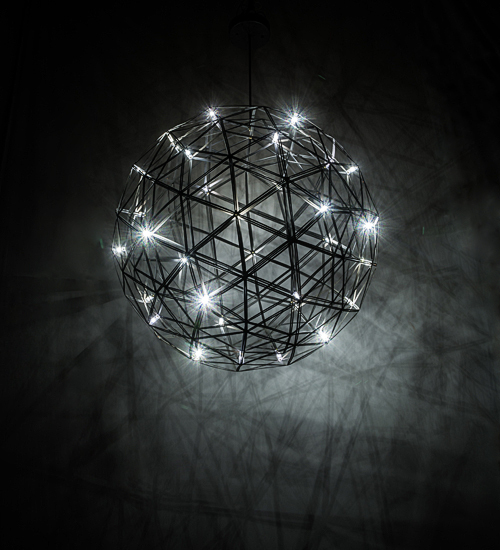 Geosphere features a complex illuminating design with 32 customer supplied G8 base lamps that project beautiful ambient illumination. The fixture is custom crafted in our 180,000 square foot manufacturing facility in Yorkville, NY. Custom styles, designs, and colors available. UL and cUL listed for dry and damp locations.